As I mentioned last week, I could not stop thinking about the Reuben from Canter’s. I’m an east coast transplant. Great, classic delis are are somewhat sparse in California, so one like Canter’s is going to stick with me for a while. Returning from Los Angeles to the Bay Area, I decided to keep things going by seeking out more classic deli cuisine. I feared that another Reuben would only skew the feeling I carried from Canter’s, so something different was in order. Gunter’s Restaurant is not a deli, it’s a pretty standard German restaurant, but their menu is full of what I might find at the eastern chrome counters I so love. 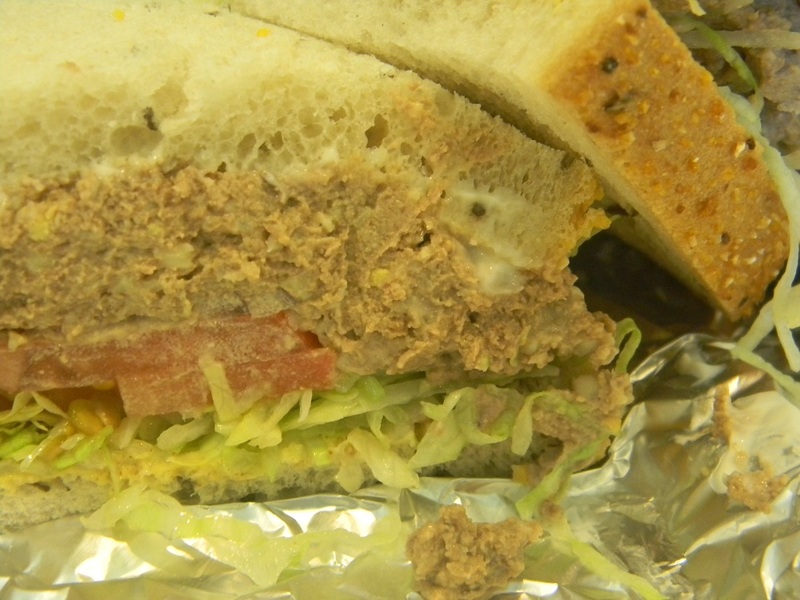 The sandwich was a fine example of chopped chicken liver. Depending on your perspective that makes it a delight or a horror. I fall into the former camp and so I was delighted by the light, smooth sandwich. It needed a bit more mustard, but that’s nothing I couldn’t remedy on my own. The bread wasn’t grilled or toasted, which seemed to me to be a rather substantial missed opportunity. 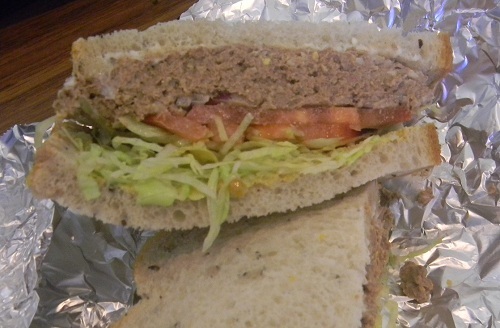 The sandwich was otherwise outstanding, though, making it a very good sandwich overall. I make it back east only occasionally, so it’s always nice to find the spots close to home where I might find culinary comfort.